A little extra nourishment goes a long way during these final wintery months. 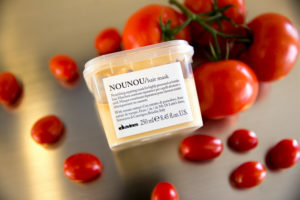 Nou Nou hair mask is the perfect addition to your winter haircare regime! This rich creamy mask contains tomato extract which is rich in antioxidants. We recommend using this mask once a week in place of your everyday conditioner. Apply and comb it all the way through your ends, leave it on for 5-10 minutes then rinse and enjoy.